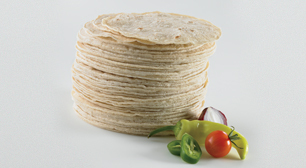 Ideal for frying, our White Corn Tortilla is made thinner with a lower moisture percentage for a crispy finish. 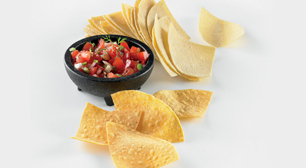 Perfect for making taco shells, tostadas, or flautas, in addition to many other menu applications. Product formulations may change. For current nutrition facts and ingredient line information contact info@catallia.com. White Corn Flour, Water, Contains 2% or less of the following: Propionic Acid, Sodium Hydroxide, Methyl and Propyl Parabens. Percent Daily Values are based on a 2,000 calorie diet. Your daily values may be higher or lower depending on your calorie needs. This is a representation of the nutrition label. The actual nutrition label on the product may vary slightly. ©2018 Catallia Mexican Foods. All rights reserved.